Let’s be honest, no one ever wants to have to use their insurance. When you call that daunting number, it basically means that you are in a desperate attempt to repair or fix whatever may have happened to your boat. Fire, explosion, collision, dismasting, stranding, and sinking are some of the most common claims in which insurance repairs for your boat are used. When you file a boating insurance claim, it’s important to know the right boat repair experts that will perform your insurance repairs for your boat and get you back into the water quickly and safely. Anchor Marine Repair has an excellent reputation when it comes to Minnesota insurance boat repairs. Our boat repair experts are here to help you navigate the rough insurance waters and get you back onto the calmer water that you truly love! Anchor Marine Repair accepts almost all types of boating insurance. We will help work with insurance companies to get the most out of your insurance claim. Before an accident ever occurs, it’s a good idea to go ahead and take a look at your policy. Consequential damage is something that happens due to “wear and tear.” If your boat sinks because a part was worn down, insurance companies can rule that they won’t cover it! Additionally, always read the fine print of your coverage. Will your insurance cover fuel-spill after a collision or a sunken boat? Will it pay for the value of the boat plus wreckage removal? Is liability covered under your insurance? All of these questions are great things to know before you have to file an insurance claim. 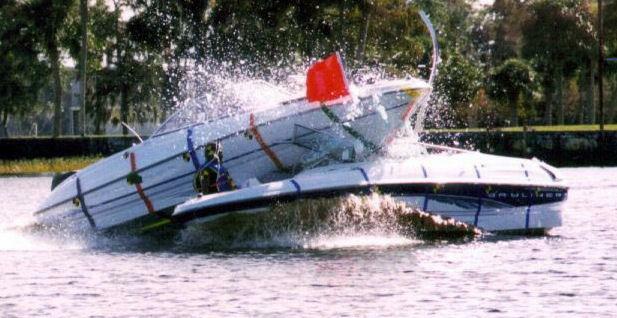 Fortunately, when disaster strikes, the boat repair experts at Anchor Marine Repair are here to help. No matter what your plan is on your insurance, Anchor Marine Repair will give you reasonable prices with excellent quality repairs. We will help you with your insurance claim and repair any structural or cosmetic problem that you need. Our boat repair experts enjoy taking in “injured” boats and bringing them back to life even better than they were “pre-accident.” We are your one stop repair shop for all of your boating repair needs. So when you file your insurance claim and begin your search for Minnesota insurance boat repairs, look no further than the boat repair experts at Anchor Marine Repair. Call us today at 764-972-3540.